Rylan is a sweet boy born with Microtia Atresia. He has had a history of multiple previous Medpor ear reconstructive surgeries resulting in exposures and infections with another surgeon in a different state. 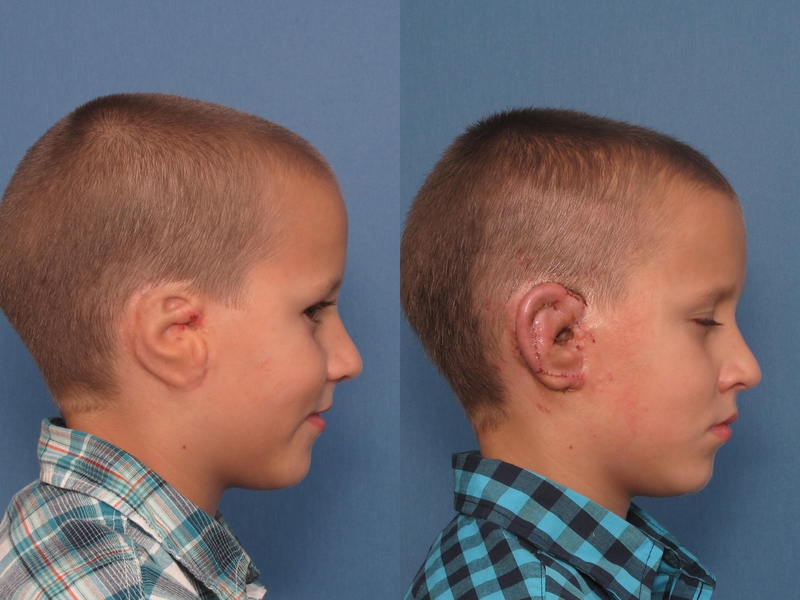 Four months ago, Dr. Reinisch reconstructed Rylan's ear using the Medpor ear reconstruction surgery he developed and the result was a success. Rylan's mother Lori wrote to Dr. Reinisch last week to update Dr. Reinisch on Rylan's ear four months post-op and to thank him for giving Rylan a year and allowing him to be a normal 7-year-old boy. Lori wrote about Rylan's story to share with other prospective microtia treatment patients/families: "Rylan was born with atresia and microtia of the right ear. 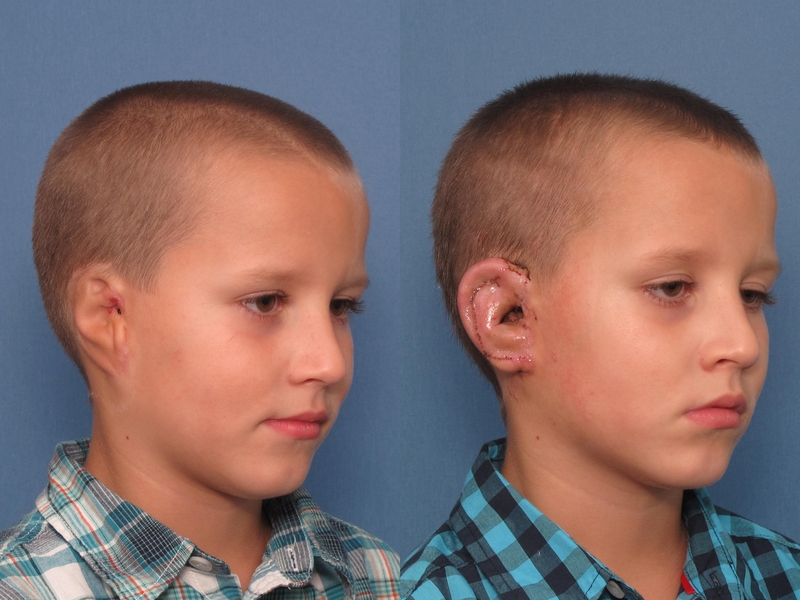 At age 5 we started reconstruction surgery to create the middle and outer ear. The first surgery to create the middle ear was a success. He went from being deaf in the right ear to hearing 80%. Next we went to a plastic surgeon to create the outer ear. A year and half and three surgeries later we did not have the results we expected. When we tried to go back to the surgeon to figure out how to correct it we could not find him. His office had closed and his number disconnected. When we went back to the ENT for a check up he told us that the implant was moving inwards and beginning to damage the middle ear. Rylan was starting to lose his hearing again. The current implant needed to come out and soon. After much research, we found Dr. Reinisch. We were told Dr. Reinisch was scheduling 8-9 months out, unfortunately not soon enough to keep more damage to Rylan's ear from occurring. We explained the situation and were told we would be put on the cancellation list. The next day we were contacted by Dr. Reinisch's staff and were told they had a cancellation for the next week. I told them we would make it happen. The next thing I knew the staff took off like a flash. We had plane tickets, reservations made with Ronald McDonald House, and insurance all taken care of within two days. When we arrived in L.A. the staff was very welcoming and treated us like we were family. It was so refreshing to know Rylan was finally going to get the care he needed. Dr. Reinisch and Mitzi kept us informed and responded very quickly whenever we had questions. 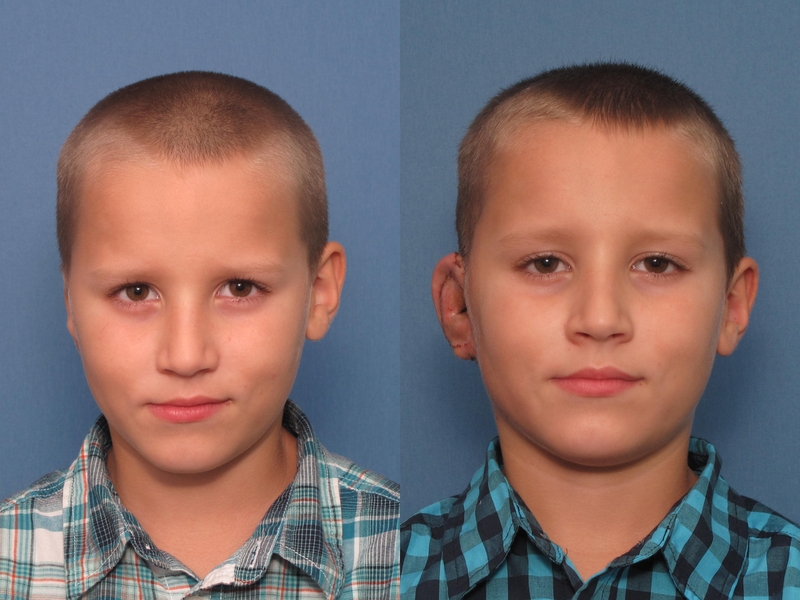 Now four months after surgery and my son has a right ear, and for the first time in his life he has no restrictions! We are so blessed to Dr. Reinisch and his staff for finally allowing Rylan to be a regular 7 year old boy."